England suffered their first important injury of their 2018 World Cup campaign on Wednesday, but fortunately for their chances of triumphing in Russia, the victim was not a player, but coach Gareth Southgate. Southgate dislocated his shoulder on his team's day off while out jogging close to their training camp near the beach resort of Repino in the west of Russia. The coach was treated in a nearby hospital and admitted afterwards that he will have to control his behaviour during his side's coming games. "I might not be celebrating any goals as athletically in the future. 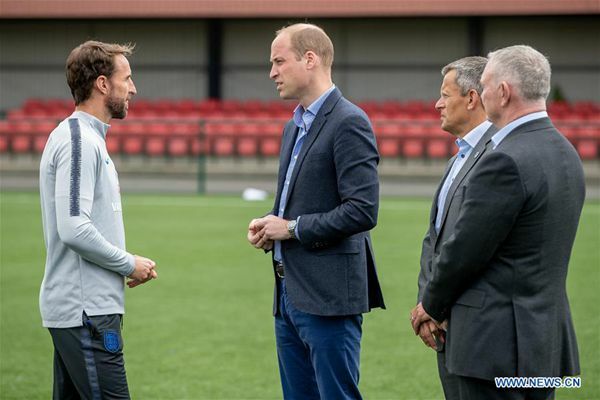 The doctor has made it clear that punching the air is not an option," said Southgate, who was grateful for receiving attention quickly after his accident. "We have a great support team and they were there very quickly, they were supposed to be relaxing and I am giving them work," he said, adding "its better that it is me than one of the players." England's only player giving cause for concern ahead of Sunday's second group G game against Panama is midfielder Dele Ali, who suffered a minor calf strain during Monday's 2-1 win against Tunisia.